'The Magical Snow Garden' was used as inspiration by the Charlevoix Public Library (Michigan, USA) for a brilliant public art display. They asked local families to help make a real life magical snow garden by decorating colourful garden stakes and placing them in the grounds of their library, It certainly helps when there is real snow to complete the effect! 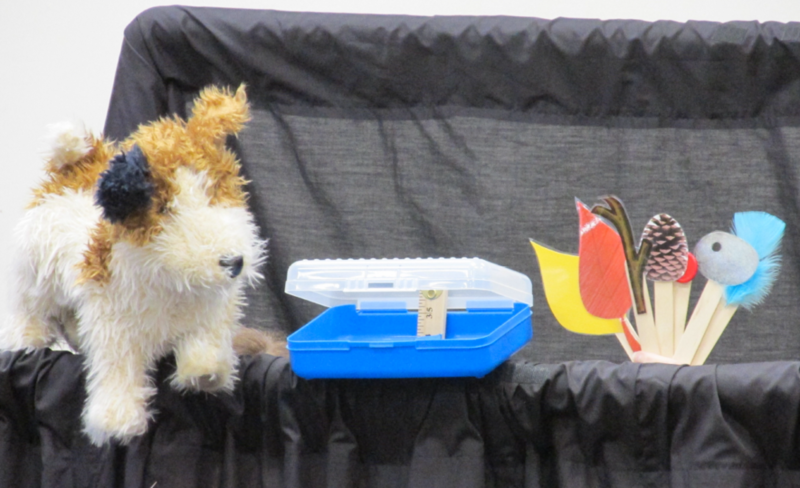 In another example from the US, 'Just Right For Two' was used as the basis for a puppet show in Waterloo Public Library, in Iowa. The children (and the performers!) really enjoyed the show, and I love the way they have used props on on sticks!